Today, May 18, 2018, the court announced at the MCLE Family Law Conference that a new child support guidelines worksheet will be effective as of June 15, 2018. The new worksheet is available here. While the base Guidelines themselves have not changed, the language will be updated to reflect the changes to the worksheet (the new guidelines are expected to be released on May 22, 2018). The updates to the worksheet solves a few issues that arose from the use of the original worksheet. There have been a lot of changes to support, both spousal and child support, in the last few months. While everyone is still picking over exactly what the implications of the new Tax Cuts and Jobs Act are for alimony, we wanted to take time to review the current situation under the 2017 Child Support Guidelines. 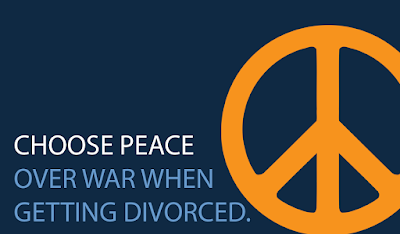 Divorcing parties and practitioners alike should be mindful of these issues, even though a new form has been issued, because any cases for which child support was set from September 15, 2017 to June 15, 2018 may now be modifiable. On September 15, 2017, the Chief Justice of the Massachusetts Trial Court implemented new Child Support Guidelines which include numerous changes from the previous update in 2013. One of these updates created an additional adjustment for the payment of child care and health care costs by either parent. This additional adjustment fits squarely within some of the principles established by the 2017 Child Support Guidelines Task Force which call for “recognizing the monetary and/or in-kind contributions of both parents in addition to the child support order; and recognizing the importance, availability, and cost of health care coverage for the child.” Child Support Guidelines, Paula M. Carey, Chief Justice of the Trial Court, July 18, 2017 (eff. Sept. 15, 2017). Unfortunately, as with many one-size fits all adjustments, there are cases in which this adjustment results in a counter-intuitive result. First, let’s clarify the impact of child care and health care costs on child support prior to the implementation of the 2017 guidelines. Under the 2013 guidelines, there was a small credit provided to a parent who paid for child care or health care. The 2013 worksheet included a deduction to gross income equal to the weekly cost of health care or child care expenses which reduced the available income used to calculate child support. However, while the full cost was used to reduce available income, the impact to child support did not show the same dollar-for-dollar reduction because available income is only proportionally related to the final child support figure and therefore the reduction in income resulted in only a modest credit. In practice, this meant that under the old guidelines a significant change in the out-of-pocket child care of health care costs might only result in a small or nominal change to the child support amount. It also meant that a parent could have a child care or health care cost that used up a significant portion of their income, and which child support might not even fully cover. The changes made under the 2017 Guidelines are intended to correct these issues by adding a new adjustment. But before we get to that, in order to fully understand the impact health care and child care costs have on the final child support order, it’s important to clarify that the old credit is still there too. 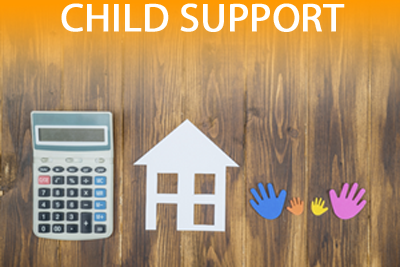 The 2017 child support guidelines still direct the parties to reduce their available income in the income section of the current worksheet by the child care and health care costs. "The guidelines worksheet makes an adjustment so that the parents share the burden of the cost proportionately. The adjustment involves a two-step calculation. First, a parent who is paying the child care deducts the out-of-pocket cost from his or her gross income. Second, the parties share the total child care costs for both parents in proportion to their income available for support. The combined adjustment for child care and health care costs is capped at fifteen percent of the child support order.” Id. and the mirroring section in Section II.H. “The guidelines worksheet makes an adjustment so that the parents share the burden of the cost proportionately. The adjustment involves a two-step calculation. First, a parent who is paying the health care deducts the out-of-pocket cost from his or her gross income. Second, the parties share the total health care costs for both parents in proportion to their income available for support. The combined adjustment for child care and health care costs is capped at fifteen percent of the child support order.” Id. The proportional sharing of these costs relative to the parties’ available income helps to apportion these costs between the parents. However, the Task Force maintained a 15% cap on this adjustment to avoid these expenses overtaking or eliminating the support order. This means that whoever pays for child care or health care costs will still not get a dollar-for-dollar credit in most cases, but the adjustment will typically result in a more significant change than under the 2013 guidelines. This cap means that in may cases, if the child support recipient cares for the children 2/3 of the time or more and pays for health insurance or child care, their household is not going to have the same available resources as the payor’s household even if they have the same gross income. This is because they are not fully reimbursed for a share of the child care or health care costs, unless the incomes are high, because the cap will limit the proportional sharing. The Task Force clearly made an effort to balance the impact of this additional adjustment while not creating an adjustment that was too significant. In this effort to apply one formula, and one cap, to all adjustments there are two issues that arise which require, in some cases, deviation from these guidelines and the current worksheet in order to reach common-sense results. “Where two parents expect to or do share equally, or approximately equally, the financial responsibility and parenting time for the children, the child support order shall be determined by calculating the guidelines worksheet twice, first with one parent as the recipient, and second with the other parent as the recipient. The difference in the calculations shall be paid to the parent with the lower weekly support amount.” Id. Calculating the guidelines worksheet twice, as directed, means running the Section 4 adjustment twice, which results in a double-counting of the adjustment under the worksheet available from September 15, 2017 to June 15, 2018. This result is not consistent with the principles described by the Task Force in the preamble, and just isn’t a common-sense result. It was possible to manually calculate this 15% cap, but the current worksheet doesn’t provide this calculation and therefore violates the 15% cap language in the Child Support Guidelines when applying the requirements of the Parenting Time section. Under the new worksheet taking effect June 15, 2018, the split and shared parenting time calculations are built into the worksheet to avoid this double-counting. We expect the language of the guidelines will also be updated to note that running two guidelines sheets will no longer be necessary. Of course, this may raise modification issues for any cases where guidelines were run between September 15, 2017 and June 15, 2018 unless this issue was adjusted for manually. Apart from the cross-guidelines double-counting issue of the original 2017 worksheet, there is a different issue created when parties agree to share the child care or health care costs directly or through reimbursement. Taking income disparity into account, many couples reach an agreement to split health care or child care costs before calculating child support. These services benefit the entire family and it is reasonable for parents to share costs that benefit them both in most circumstances. If parties agree to split these costs directly, it isn’t clear from the guidelines or the worksheet how the parties should report this split on the current worksheet. When the parties are agreeing to split the expenses outside the child support calculation the only way to avoid double-counting is to exclude the child care and health care costs from the worksheet altogether. This has the negative effect of losing the first adjustment to available income as well (which happens in the income section of the worksheet), but that impact is much smaller than the impact of double-counting by splitting the amounts and then crediting again in the calculation. Thoughtful practitioners can approach these issues with common sense solutions when the adjustment is in violation of the cap, or results in a double-counting. These shouldn’t be considered deviations from the guidelines, but rather deviations from the worksheet when the formula is inconsistent with the principles of the guidelines. Unfortunately for many, the worksheet is the only part of the guidelines they may read, and many parties and attorneys will surely continue to lament the inconsistencies and “fairness” of the form. It is an impossible task to create a one-size fits all formula that considers all the unique circumstances of every family, but at least the new form makes an effort to be more consistent with the listed principles. Recognizing the imperfections in such a formula can be an exercise in criticism, or an opportunity to see the importance of thoughtful conflict resolution in every case. I encourage practitioners, parties, and court personnel to look past the face-value numbers in every case to help families determine how the individual needs and costs of their family can be fairly divided with a long term and sustainable solution. The presumption of a guideline is useful to force the hand of parties who cannot reach reasonable settlement on their own, but it shouldn’t be used to hamstring those who can.